The former Celtic and Livingston forward says he will consider his future while on holiday in his native Spain. David Fernandez may quit football and head back to his native Spain following his release from Kilmarnock. The former Celtic, Livingston and Dundee United forward first came to Scotland in 2000, when he was part of a Spanish revolution under Steve Archibald at Airdrie. The skilful player, who has been at Rugby Park for four seasons, says he has no offers as of yet to stay in football. However, the 34-year-old says he will consider any options before deciding whether or not to leave the game for good. The former Deportivo La Coruna player, who has been in Scotland for 10 years, will head home for a holiday but says he is preparing for the prospect of staying there for good. “I am going home on June 1 and I will think about my future,” Fernandez told the Scottish Sun. “It might be that I will quit football. “I don't have any big plans at the moment so I will think about what the best thing is for my family. I will listen to anyone who calls me but right now I am packing to go back to Spain. That is the only thing on my mind right now. Fernandez was rated as one of the hottest foreign imports in the SPL when he made the step up from the First Division with Livingston in 2001. He impressed sufficiently for Martin O’Neill to take him to Celtic a season later but he failed to fit into the manager’s plans. A loan spell back at Almondvale Stadium followed, where he won the Co-operative Insurance Cup, before a transfer to Dundee United in 2005. 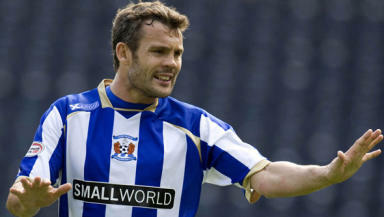 He stayed one year at Tannadice, before Kilmarnock signed him on a free transfer. A horror knee injury sustained in a mistimed tackle by Celtic’s Gary Caldwell ruled him out for over a year just three months after his move to Rugby Park. He recovered to feature 95 times for Killie, although the majority of his appearances this season came from the substitutes’ bench.